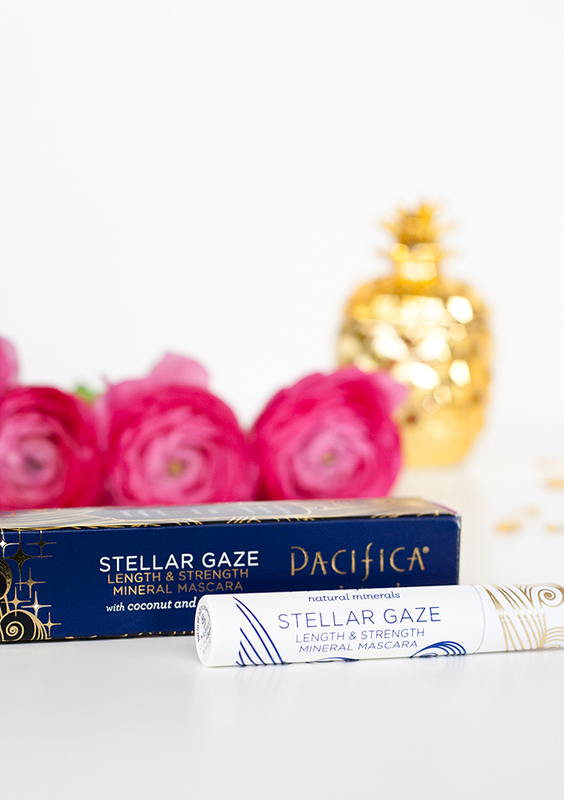 I wanted to try Pacifica mascaras for a while, but was torn between Stellar Gaze and Dream Big. As you can see, I picked Stellar Gaze just because the brush of Dream Big mascara seemed somehow scary and complicated to use for someone with short lashes, like me. 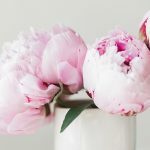 For those of you who haven’t heard about Pacifica before, this brand should be on your radar because it’s a cruelty-free, vegan and conscious beauty brand with a wide range of effective beauty products. However, note that a few of their products contain dimethicone (i.e. BB cream) and carmine (i.e. some lip glosses), so you should check the ingredient lists (as with any beauty products) beforehand, if you try to avoid these. The Stellar Gaze range has two mascaras available: SUPERNOVA (black) and STARDUST (brown). The color I have is Stardust – a natural-looking, medium brown. First things first, the packaging. I think we will all agree that Pacifica products have visually appealing packaging design. This color combination of gold and navy, which is one of my favorites, makes the mascara look lavish! 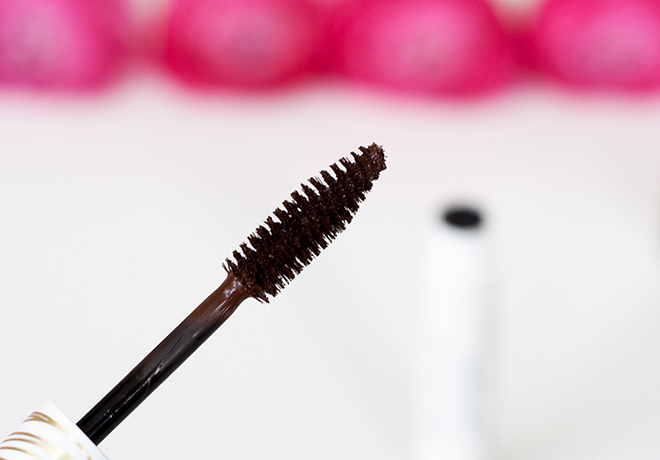 The long brush has densely packed bristles, which help to distribute mascara evenly on the lashes. The bristles are short, but they don’t stain my lids during application. Quite the opposite, the application is easy and smooth, even with such a bulky looking brush like this. I like that the consistency of this mascara isn’t runny at all. You know that feeling when it’s almost impossible to use your brand new mascara, because it’s super runny and makes a mess on your lids? Well, this is not the case with Stellar Gaze at all. 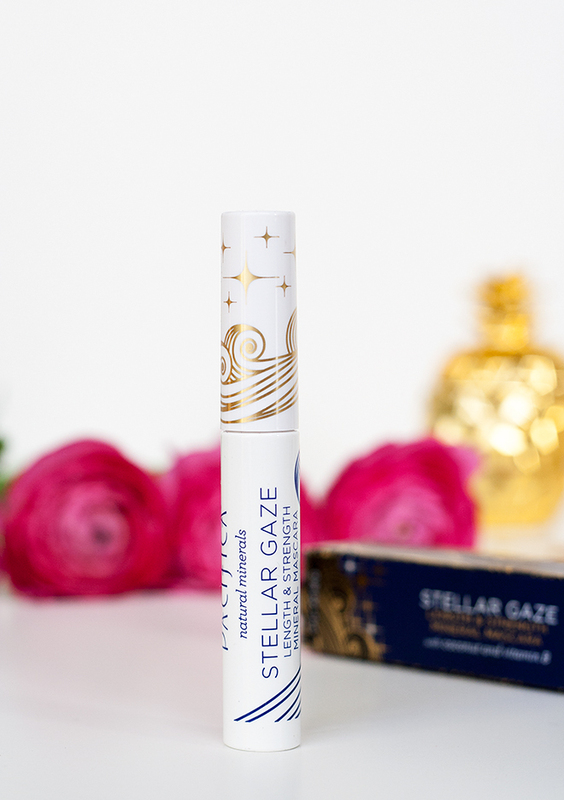 According to the brand, Stellar Gaze mascaras are infused with coconut oil and vitamin B to “hydrate each lash as it lengthens, strengthens and adds volume”. Sounds promising! Ingredients: Aqua, glyceryl stearate*, cetearyl alcohol*, hydroxyethlcellulose*, sorbitan olivate*, citric acid*, acrylates cross polymer, xanthan gum*, tocopherol* (vitamin E), jojoba esters*, panthenol (vitamin B)*, arabia/acacia gum*, potassium sorbate, cocos nucifera (coconut) oil*, chamomilla (chamomile) sativa fruit extract, algae extract*, cucumis sativus fruit extract*, macrocystis pyrifera (brown kelp) extract*, hydrolyze oriza sativa (rice) protein. May contain: iron oxides, CI 77499, mica. *Plant/plant-derived. What I like the most about it is that the mascara gives definition, color, and separation to my lashes by, at the same time, caring for them. However, personally, I wish it would give more intensity and drama. 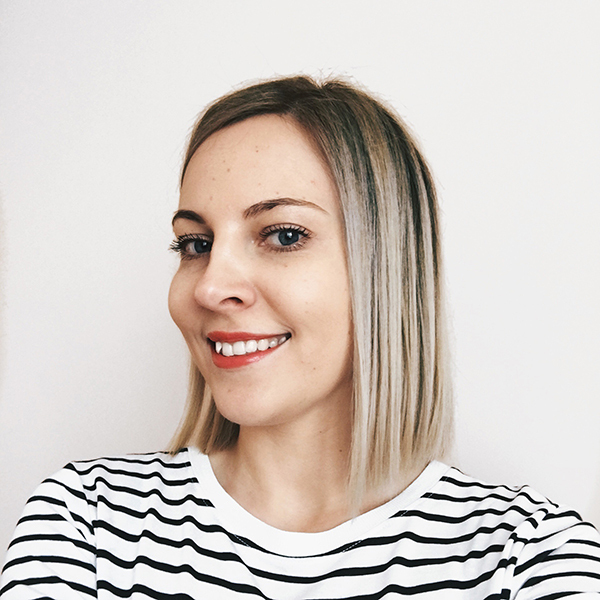 I never apply just one coat of mascara, because I like my lashes looking more intense rather than natural, so one layer never gives me the results I want. I’ve tried the same thing with Stellar Gaze Stardust, but, as you can see below, even with a few layers, it still gives me a very natural look. 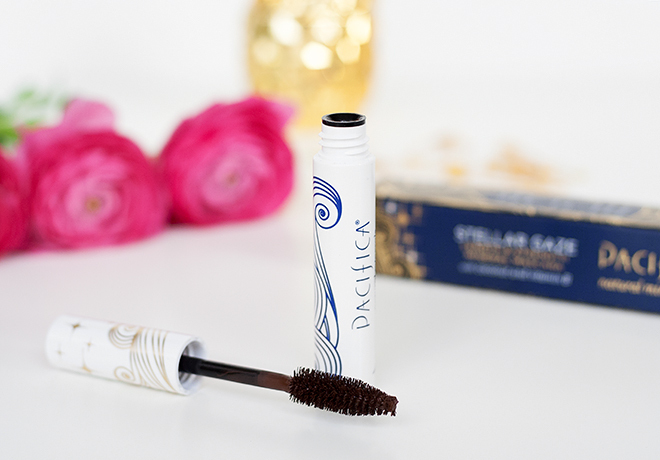 Stellar Gaze is a long-wearing mascara, which never crumbles. Though, it does not like water very much, it stays in place during the mild rain. Also, it’s easy to remove with only water! 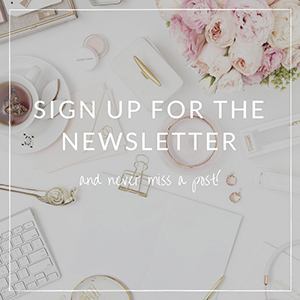 Have you tried Stellar Gaze mascaras? I love this mascara!!! Have not found one that I love more than this one yet. It is a high-quality mascara, that’s for sure 🙂 Do you use Stardust or Supernova? I love the Supernova mascara. I love a black mascara! 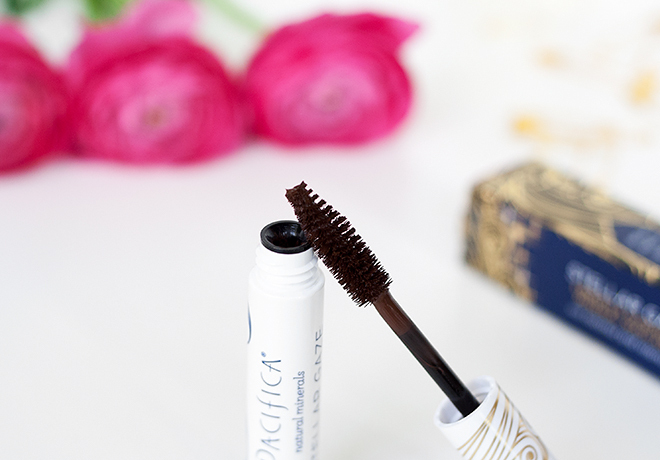 I’ve tried and I like so much, I’ve tried brown and black Pacifica mascaras. They are the best!